Is your garage door in Hackensack is not opening or making too much noise while moving? Are you looking for a professional to do a little troubleshooting within reasonable costs? ASAP Garage Door Services can help you avoid a costly garage door repair project, and make your garage door opener work in no time! Just call us at (201) 628-0104 and fix an early inspection. For any emergency we’ll send over our experts immediately. ASAP Garage Door Services in Hackensack, NJ? 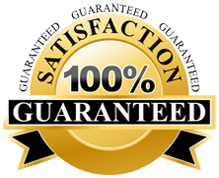 One of the most reputed garage door service providers in Hackensack (07601), ASAP Garage Door Services believes in 100% customer satisfaction. We operate as a well-established owner garage door repair company and need not have any association with sub-contractors. That means we send our very own technicians to meet your unique garage door requirements. Which Services We Offer in Hackensack? We are glad to have a dedicated team of trained and qualified garage door technicians that is ready to work for you at any point of time. Whether it is a garage door opener that is bothering you or you want to get torsion springs replaced, you can always count on our 24X7 garage door services in Hackensack (07601), New Jersey! When you need professional repair services, you can talk to one of our experts at (201) 628-0104. We will make sure our team of fully equipped technicians makes it to your house on the same day of contact! This entry was posted in Hackensack on April 15, 2014 by admin.